Whether you cater to end consumers, or other businesses, at the end of the day, everyone wants a human and organic connection to close a deal. If your business sells products and services to other businesses, you are considered as a B2B entity. 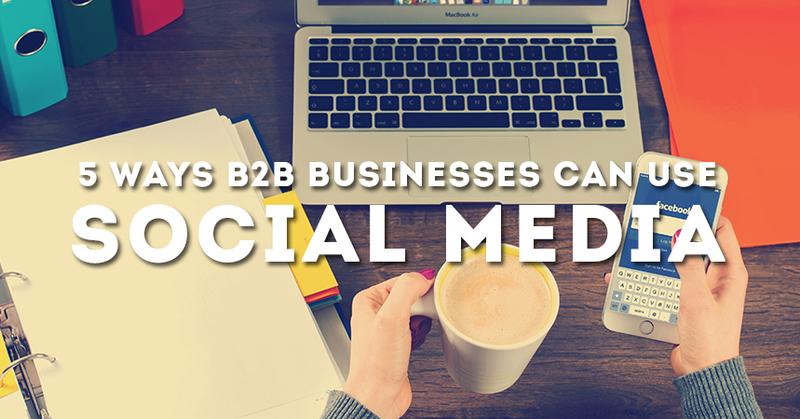 A common misconception among B2B businesses is that they cannot use social media since the businesses they are selling to do not go on social media. However, we must remember that businesses are run by people, and people do log in to their social media accounts. Here are 5 ways businesses can use social media to their advantage. Use social media to get in on timely industry trends and make connections with other leaders, decision-makers, and influencers. Be on the radar by reaching out with the right kind of media and by building strong relationships with relevant media contacts, such as connecting with bloggers and journalists who can actively write about your products and services in your niche. Success in social media is all about content that engage users. Use social media to share how your business is contributing within your communities and make your employees engaged and proud to say to say that they work for you while winning over business. This builds on your sense of community both internal and external to the company. Facebook and Instagram are best platforms for this strategy. Connecting with your prospects and customers is one step in using social media for your brand. It gives your audience the opportunity of seeing how customers interact with your posts and what they talk about your brand. Social media platforms such as Twitter and Facebook are great for improving customer service and communicating with your customers. Social media can be of great use for connecting with candidates who are hard to reach or for skill-specific individuals. Share company news, values and perks in social media platforms to make someone want to work for you. LinkedIn is the best social media platform for recruitment. Educating and updating users about your products or services can be made easier with social media. It gives an easier way of communicating your offerings by the use of content and targeting options that social media offers. Best platforms for these would depend on the industry you are in. To learn about what the best social media platform for you is, click here. Managing an active social media presence requires your full attention as you have to engage with customers, post regular content, network with other influencers, and perform high performing social ads, which can be very time consuming considering you should be focused on growing your empire. If you need to have professionals manage your business social accounts for you, check out our Professional Social Media Management Service. Thanks for sharing all the information and tips. Great article! Welcome! Glad to know you liked it!